We’ve all been there. You go to send a text message to your friend and you hit send before you’ve finished typing. Or there’s an embarrassing autocorrect error. Or worse, you’ve sent it to your boss instead of your co-worker. 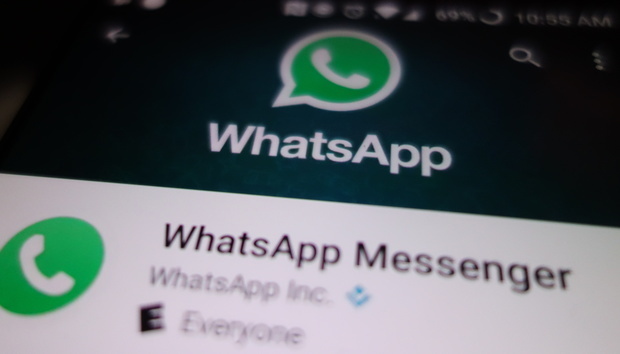 WhatsApp is testing a way to eliminate the stress over text messages. Spotted by Mashable on the Twitter account @WABetaInfo, the latest beta version of the app seemingly includes a way to revoke and edit messages after they’ve been sent. A new feature in the WhatsApp beta allows you to revoke and edit messages after they’ve been sent. According to WABetaInfo’s screenshot, the recipient would receive an indication that the sender revoked the message, so the exchange wouldn’t be completely stricken from the record. Furthermore, the feature is only allowed if the recipient hasn’t read the message yet, so it’s unclear whether it would work if the recipient has notifications turned on. And it also doesn’t say whether there’s a time limit for which users will be able to access the delivered messages, even if they haven’t been read yet. While the screenshot shows the iOS version of the app, Mashable reports that the feature is being tested in the Android version of the app as well. While WhatsApp allows users to receive beta versions in the Play Store, the feature doesn’t appear to be active in the most recent version, marked 2.17.42, which posted yesterday. Also of note in the betas, according to WABetaInfo, is the ability to delete and mute statuses and receive notifications about low battery during a call, as well as an optional live location feature to track friends who are participating in a group conversation. Is this for real: While WhatsApp may very well be testing a game-changing new feature for habitual texters, it’s entirely possible that it never sees the light of day. There are several questions regarding how such a feature would be implemented, so it’s likely going to be many months before we hear much about it making its way ointo the main version of the app, if it ever does. But for now, it’s nice to dream.